Vitamin Sea. Are you Suffering from a Lack of Vitamin Sea? We Can Help! Vitamin Sea. Are you suffering from a Vitamin Sea deficiency? It’s a common complaint – and we sympathise! 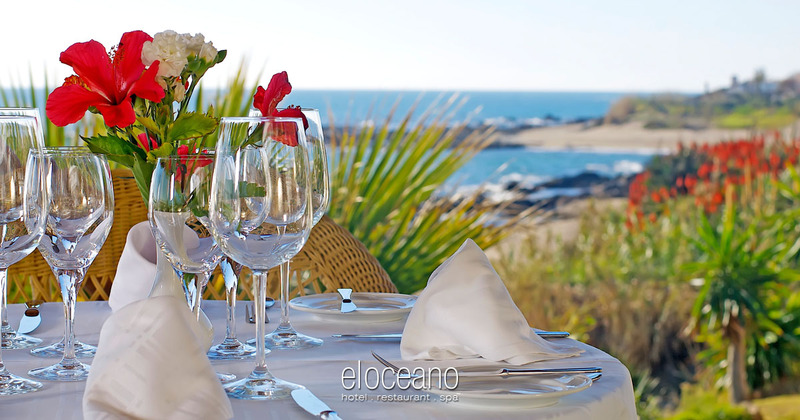 Luckily, El Oceano has just the treatment for your Vitamin Sea problem!! Pay us a visit this 2018 Season and we’ll make sure you have 100% of your Vitamin Sea recommended daily intake!! Let’s face it, life can get a little too much at times and doctors* have identified a new reason… a Vitamin Sea Deficiency!! Luckily, we have just the right treatment for your lack of Vitamin Sea! 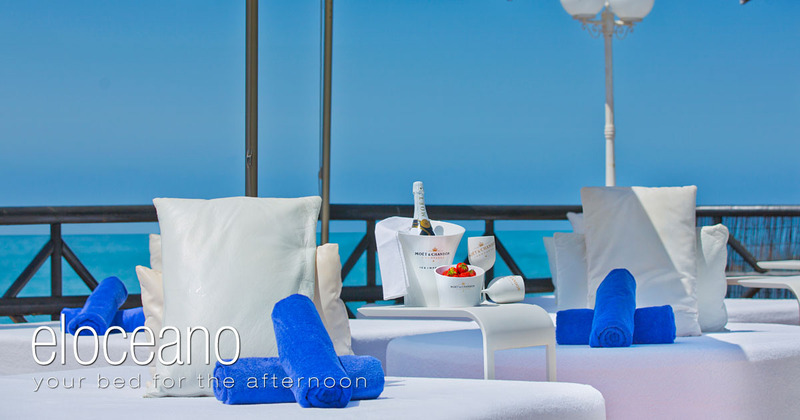 Right on the water’s edge, El Oceano Luxury Beach Hotel provides 100% of the daily recommended amount of Vitamin Sea! That’s all you need! Common symptoms of Vitamin Sea deficiency include cloudiness, too much rain, work, car trouble and a host of other daily routine issues. 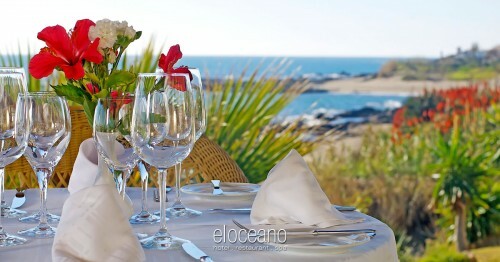 At El Oceano, we can replenish your Vit Sea levels to where they should be! 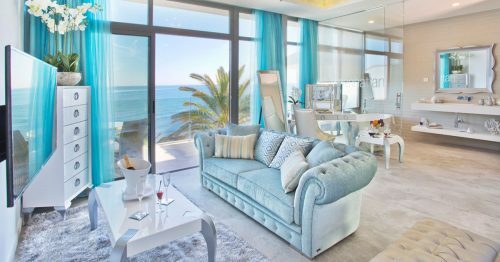 Perfect surroundings, perfect location, perfect service – it all adds up to a perfect break or holiday on the Vitamin Sea Coast!! If you feel you’re lacking in Vitamin Sea, you’re in luck!! 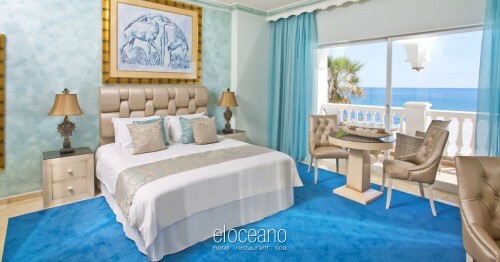 El Oceano is just a short flight away from just about everywhere – as we say, “paradise is closer than you think!”. 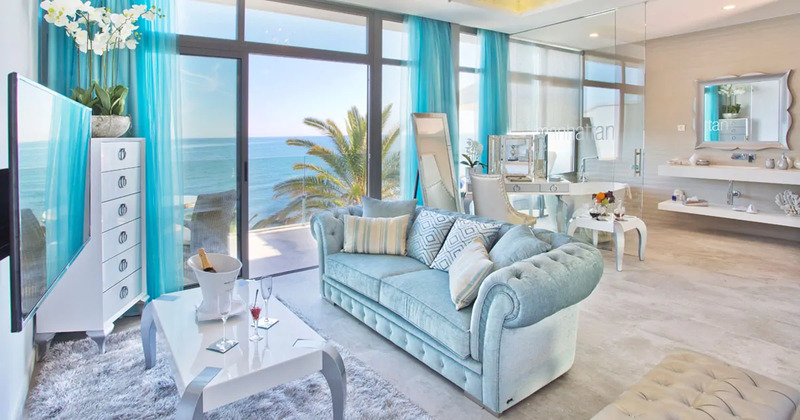 Spend a few days in one of our fantastic Feature Bath Suites, or a couple of weeks in one of the four, exclusive Penthouse Apartments – either way, your Vitamin Sea levels will go through the roof! A long lasting effect, your Vitamin Sea intake will last for weeks after a visit to the Costa del Sol’s finest beach hotel! And not just the hotel! 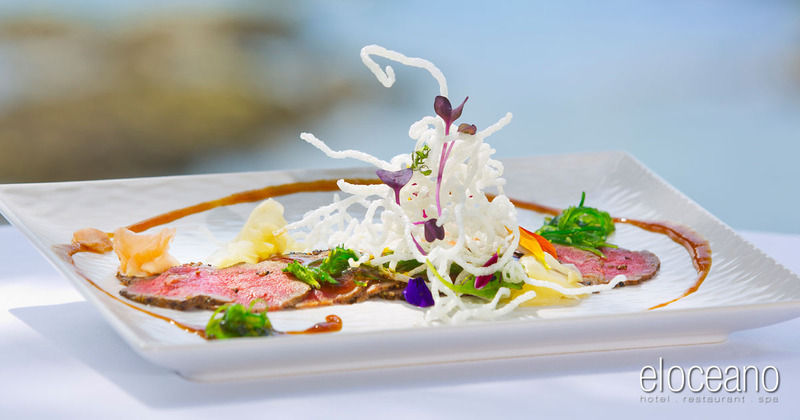 Enjoy a perfect night of exquisite eating and perfect dining entertainment in the restaurant! You’ll be impressed with out carefully chosen A la Carte Menu, enjoyed in wonderful surroundings, with spectacular views of the sea! A stay at El Oceano does you good, every time! The Hotel – 50 Exquisite Rooms & Suites, a true taste of ’boutique’ luxury! The Restaurant – 3 Wonderful Restaurant Areas, most with Unspoiled Med. Views! The Beauty Salon – Luxury beauty treatments carried out by a committed professional team. The Cocktail Lounge – Let our Award-Winning Mixologist prepare the perfect Martini! The Pool, Garden and Pool Bar – VIP Sunbeds, Personal Service, Sun, Sun, Sun!! * We are not aware of any doctors advocating the benefits of “Vitamin Sea”, nor it does it exist as far as we’re aware. We made it up. But still, it’s good idea, isn’t it?